A right-wing activist who violently tackled the teen known as Egg Boy also described the Christchurch mosque attack as "karma". Melbourne man Neil Erikson was one of a group who crash-tackled teen William Connolly, moments after he had egged Senator Fraser Anning at a protest rally. A group of men violently pinned the teen to the ground. The 17-year-old boy from Hampton, Melbourne rose to fame after smashing an egg on Anning's head after the Senator made comments blaming Muslims for the Christchurch terror attack. Connolly's lawyer Peter Gordon has said there was "no indication" charges would be laid against the teen. Connolly was interviewed by police but has since been released. 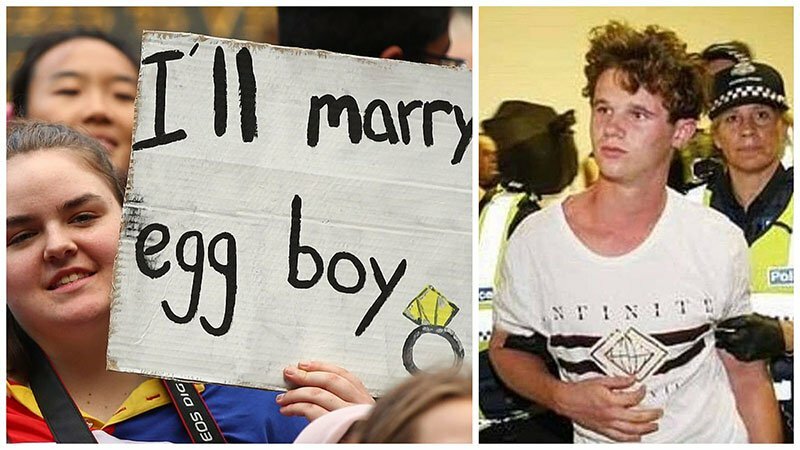 Egg Boy confirmed he will donate the money from a crowdfunding campaign to the victims of the Christchurch attacks. In an online post after Friday's shootings, Erikson claimed the far-right movement was "the sleeping dragon that has now awoken". "It is karma, this is what happens when you attack a people for so long," he said.